Welcome to edition two of Wonderful Wednesdays! A while ago, I talked about my intention to do occasional reviews of books I have read in the past (read post here). And as expected, I have not started on that yet! Thanks Sam @ Tiny Library, host of this wonderful weekly meme for the motivation! When I found out this week’s theme, I was immediately reminded of one of my favorite novels which I read some time in 2008, The Shadow of The Wind. The story is set in Barcelona, Spain. Hidden in the heart of the old city of Barcelona is the 'Cemetery of Lost Books', a labyrinthine library of obscure and forgotten titles that have long gone out of print. To this library, a man brings his 10-year-old son Daniel one cold morning in 1945. Daniel is allowed to choose one book from the shelves and pulls out La Sombra del Viento by Julian Carax. The book cover – It was so dull! And ultimately, the synopsis – I mean, who doesn’t love books about books, right? Combined with the dark mystery element … I was so intrigued by then, I went straight to the cashier! True enough, the book did not disappoint me at all. From the very first page, the story completely "stole my heart, my breath and my sleep". As I was immersed with the plot of the story, I was filled with envy and amazement with the way the author (and of course, the commendable translator) crafted the words so very beautifully. It is a mystery story but most of all, it is a story about the passion for literature and love. I fell in love with the city of Barcelona and how I wish the Cemetery of Forgotten Books really exist! Oohh that does sound like a fabulous book! I may have to add that to my tbr list. Sounds like a great book. And I love how you ending up choosing it! Sounds like a great book. And I love how you ended up choosing it! I studied Spanish at school and have always wanted to visit Barcelona. I own a copy of this book but haven't yet read it. I was worried it might not be as good as I hope it will be, but I think I'll give it a go now. 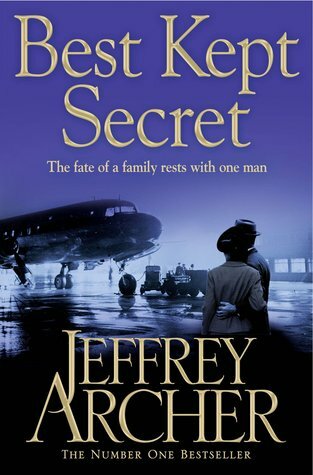 i looked up for it because jeffrey archer was reading it at that time. he said it was beautifully written. true enough. i couldn't put the book down. it was dark and mysterious; a little abstract and written in such an artistic way. though i believe zafon did a tremendous job, but i think half of the credit should also be given to the translator (because the book was originally written in spanish). i am trying now to read another zafon's book but it wasn't as intrigued as the shadow of the wind. because i am still at page 23, and it has been weeks since i first started reading it. Trish and Sam: I cherish this book. I think you will not be disappointed. Susan: It was a tiring looking at every title from A-Z but totally worth it! Marmalade: I have read The Angel's Game. I enjoyed it as well but not as good as The Shadow of The Wind. I absolutely LOVED this book. One, because of the story about books...Two, because of the mystery..and Three, the writing.... so beautifully written and so many wonderful quotes from it. It is one of my three most favorite of all times. Kat @ A Journey in Reading: I think any booklovers would have enjoyed a story about books.. I love many wonderful quotes from it that my copy of the books bears many dog-eared pages so that I can refer to them in the future!